Industrial, Commercial and Residential properties. 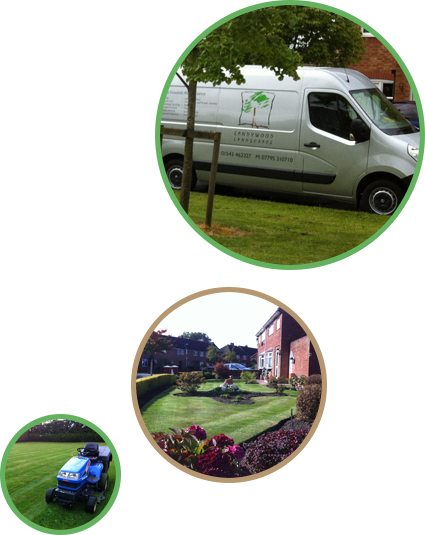 Founded in 2003, Landywood Landscapes Limited is a Staffordshire / Midlands based gardening and grounds maintenance company that offers a wealth of knowledge in grounds maintenance operations for Industrial, Commercial and residential properties. We have over the years built up a very good reputation based upon our attitude towards our customers, hard work and quality of the end result. Our machinery is serviced and maintained to the highest standard to ensure we continually achieve the best possible finish on all of our projects. Our company vehicles are smartly sign written to ensure we are easily identified whilst on the road and on site.